Cadillac may be unsure about the future of its CT6 flagship sedan but it definitely knows what it won’t do with the engine of the series’ range-topper. 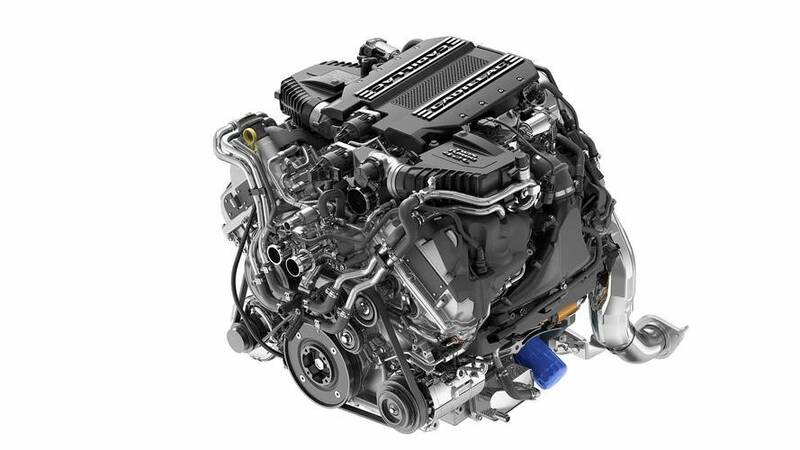 The CT6-V uses a 4.2-liter twin-turbo V8 engine which is also shared with the CT6 Platinum but this motor will remain exclusive to the Cadillac brand. When asked whether the marque is open to sharing the so-called Blackwing engine with other automakers under the General Motors’ umbrella, Cadillac’s President Steve Carlisle was pretty direct. "Over my dead body," he told MotorTrend in a recent interview. That’s what we call a solid statement. Last week we learned Caddy has plans to build more CT6-Vs, though exactly how many examples will be made is unknown at the moment. Oddly enough, the manufacturer will sell the new portion of performance luxury sedans at a higher price than the first batch of 275 units. More precisely, the price goes up from $88,790 to $92,790. As for the Blackwing engine itself, Cadillac will likely use it under the hood of the next generation Escalade which is due next year as a 2021 model. Rumors put the 550-horsepower (410-kilowatt) V8 in the new Chevrolet Corvette but, apparently, that’s not going to happen anytime soon. Recently, it was reported Cadillac will also introduce the Blackwing for the CT6 Platinum, the most expensive non-V model in the CTS’ lineup. The sedan will reportedly use a detuned version of the engine with 500 hp (373 kW) and 553 pound-feet (750 Newton-meters). It will be mated to a 10-speed automatic gearbox and an all-wheel drive as standard. Bringing its flagship twin-turbo engine to the Platinum trim will be a nice move from Cadillac but one thing leaves us feeling there’s something wrong with the brand’s strategy. Word on the street is the CT6 Platinum with the V8 will cost $96,790, or $8,000 above the CT6-V and $9,000 more than the CT6 with a 3.0-liter twin-turbo engine. As a final note, Cadillac’s official site still lists the CT6 Platinum only with a V6 engine and also says the CT6-V will be available again from mid-2019.